By the time you are reading this, most Granges have already conferred Degrees. How did your Grange do??? 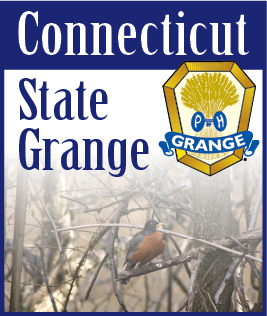 Report forms for membership increases will be sent to the Secretary of each Grange by our State Secretary when she returns your March Quarterly Report. I hope you will take the time to fill it out and return it either to me or Edith with your June report. Either way is acceptable and we thank you for taking the time to make it out. If you haven’t taken in any new members, have you thought why are other Granges getting new members and not us? Have you thought about asking someone and then said “no, they are too busy.” What about yourself? Aren’t you busy too? I don’t know any Granger who is not. But aren’t we enjoying every minute of it? So the next time you think of asking someone you think is “too busy” just do it. You might be pleasantly surprised with a yes answer and how come you never asked me before?